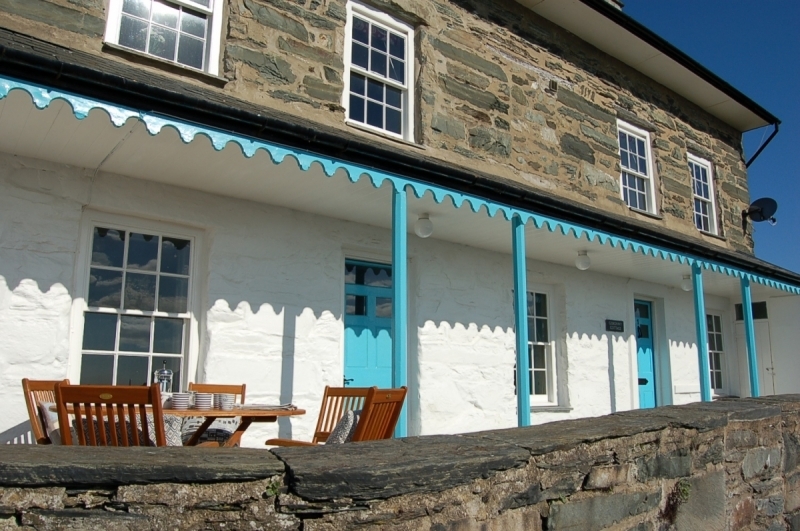 Goronwy Cottage, situated in the centre of Barmouth is an ideal base for walking during the Barmouth Walking Festival. It’s a luxury, spacious cottage sleeping 9 (+ 3 extra) so great for a group of friends. The cottage is on the rock so although there is no parking, permits are provided for the local near by carpark. The price for one week is £1199, 4 night midweek break £700, 3 night weekend £825. We allow a well behaved dog (£25). Extra guests are £10 per person per day. After a long walk Goronwy will provide you with a most relaxing and comfortable home. Enjoy the spectacular views from the veranda of the Cambrian coast and Snowdonia and stunning sunsets. No need to get back in your car to get to a restaurant because there are plenty to choose from within a stones throw of the cottage!